CVS Pharmacy (NYSE: CVS) is participating in the first annual National Check Your Meds Day, a day established by Consumer Reports and the U.S. Department of Health and Human Services (HSS). On Saturday, October 21st, consumers are encouraged to bring their prescription medications and supplements to their local CVS Pharmacy for free “brown bag” medication reviews. During a “brown bag” review, CVS pharmacists will perform a comprehensive evaluation of all of the medications a patient is taking to help them better understand their prescription medications, determine whether any of their medications could lead to potentially harmful drug interactions, and help them determine the best time of day to take their prescribed medications to ensure greater efficacy and fewer side effects. If a patient takes other medications, such as over-the-counter medications or prescriptions filled at other pharmacies, the patient should present a list of those medications or bring them to the pharmacy to ensure an accurate review. According to Consumer Reports, patients are encouraged to consider a number of factors in determining whether they could benefit from a medication review, including the number of providers who prescribe medications for them, whether they take over-the-counter supplements along with prescription drugs, if they take more than one drug to treat the same condition, if they take one medication to control the side effects of another, if they have been taking certain medications for more than three months and if they struggle to pay for their medications. CVS pharmacists are uniquely qualified to conduct medication reviews thanks to the ScriptPath Prescription Schedule, a core element of the newly launched ScriptPath prescription management system. The schedule is generated by a scientific clinical system that automatically reviews all of a patient’s current CVS Pharmacy prescription information and prescribers’ instructions, and then, using clinical data, provides a schedule of the most effective times of day to take the medications. The Prescription Schedule is available in all stores nationwide in both English and Spanish, and is available to all patients, at any time, upon request. 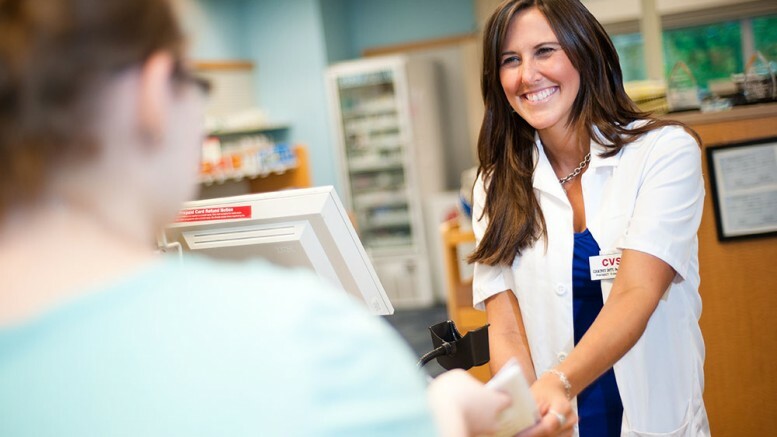 Pharmacists will also discuss CVS Pharmacy’s ScriptSync program, which provides the added convenience of fewer pharmacy trips by coordinating prescriptions for pick-up together. To learn more about National Check Your Meds Day, visit CR.org/CheckYourMeds.